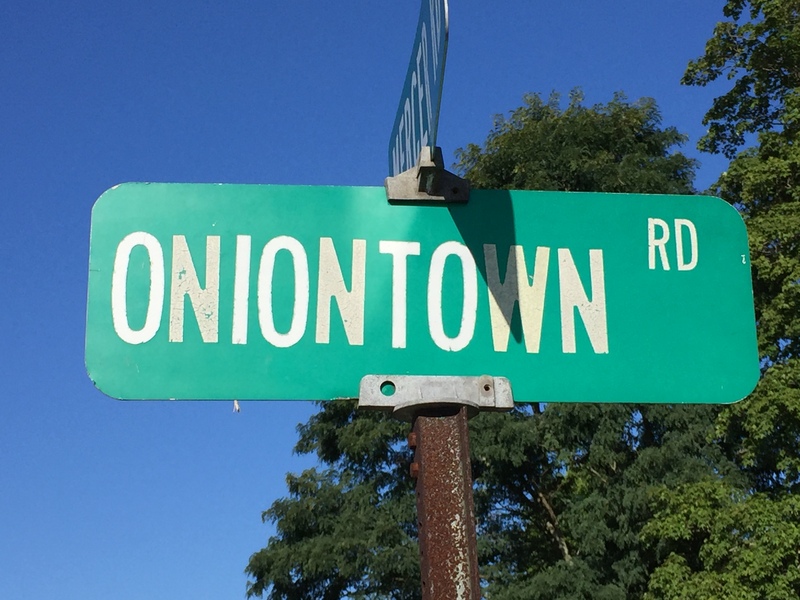 The last thing I expected to enjoy two years ago when I started serving as St. John’s Lutheran Church’s part-time pastor was my seventy-mile commute from Erie to Oniontown, Pennsylvania. I was smitten immediately. The scenery calms me down, and the livestock munching their breakfast as I speed by now seem like distant relatives. One blonde horse on Route 19 is on my mind so often that I may request a meeting. I call him Onslow. What would the farmer say when I knock and ask, “Do you mind if I make your horse’s acquaintance”? Hopefully he suffers fools well. I’m not altogether surprised to discover that my time behind the wheel is joyful. Experience has proven that gladness finds me and not the other way around. Beauty, wisdom and bliss don’t yield to force or expectation. They obey their own fancies. 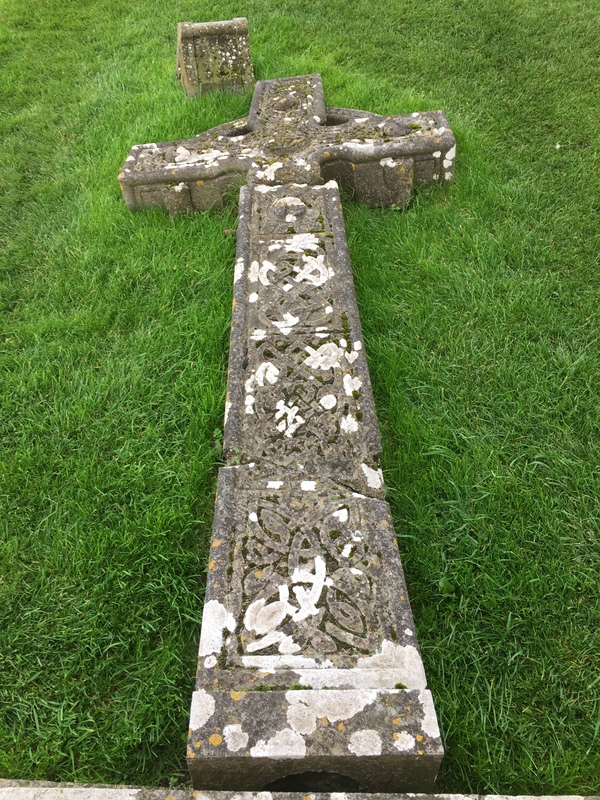 I received such lessons anew in October when Kathy and I traveled to Ireland, a country aptly called the “Emerald Isle.” Everywhere you look, intoxicating greens and ancient grays cast a reverent spell. Leave it to me, though, to be delighted most by chance human encounters. One beer into my first pub visit, a lean, leathery-faced old stranger took a look at my gut, leaned in close and asked, “When’s the last time you saw your own feet, mate?” Tipsy Irishmen say the darndest things. Gladness also showed up in the commonplace, especially along the island’s narrow, harrowing roads. My brother Ed drove, his wife Debby navigated, and Kathy and I sat in the back seat and let our eyes wander. I never tired of watching livestock grazing in fields framed by stone walls. It was as if a painter arranged the cows for the greatest artistic affect. “That’s because,” Dave shot back, “American cows are free spirits.” Well played! My keenest, most unlikely pleasure was granted by a crow, or so I assumed. 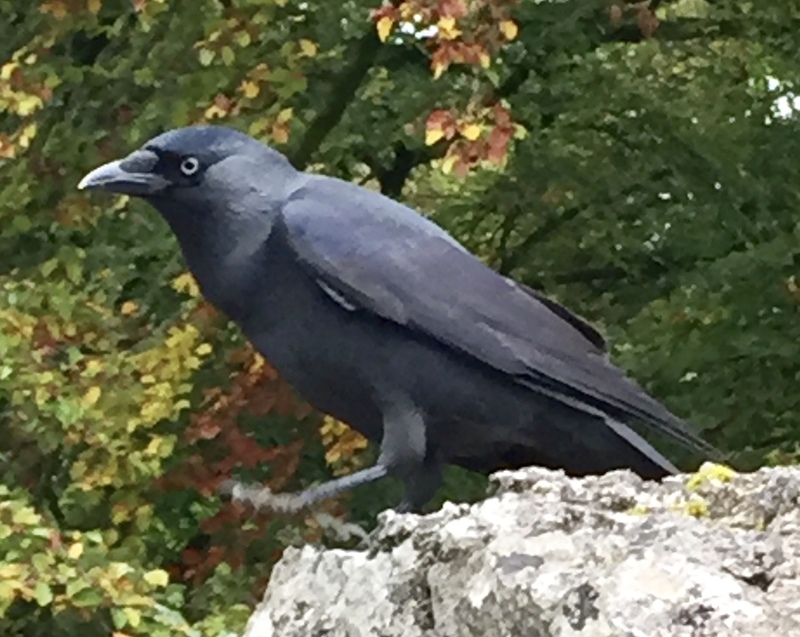 Birder friend Mary saw a photograph I had posted on ANappersCompanion.com weeks later and informed me that my bird was a Jackdaw. So it was “Jack”—or “Jackie,” I don’t know—who met me outside a pub in Blarney. 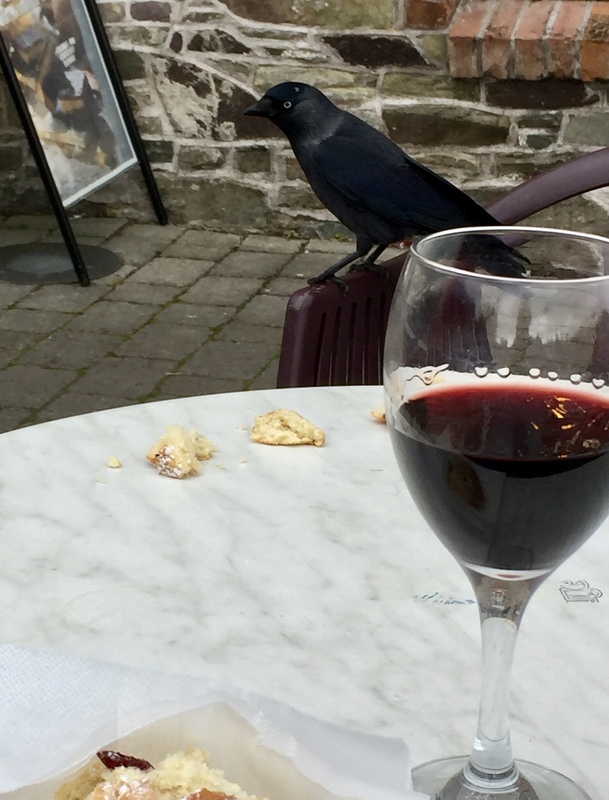 As I sipped Cabernet Sauvignon, this corvid had me under surveillance. Townsfolk and tourists were seated all around, but Jack was most enamored of me. The feeling was mutual. He landed one table over and hopped about. What was he up to? Since my glass was empty, I got a refill for me and a scone for Jack. After kissing Blarney’s famous stone and wandering the castle’s gardens, I wasn’t hungry myself, but content to rest, gladden my heart and treat a fellow planetary citizen to lunch. I set a few chunks of scone on Jack’s table and waited for him to return. He took my offerings one by one, flew away, then came back for more. Hoping he would join me, I put pieces on my table. He came and went, several times staking me out from the roof of Blarney Woolen Mills. Alas, the closest he got was the chair opposite me. 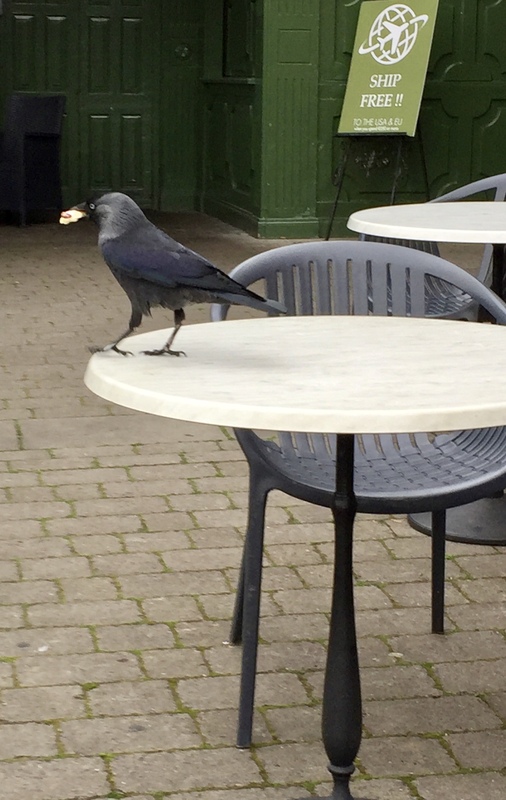 When I returned from getting a last refill, Jack and his friends had cleaned up the portions I’d left behind. Before long I ripped up the sad remnants and headed back to the hotel for a siesta. My only intention was to call Jack “brother,” but how could he (or she) have known? Two creatures crossing paths, that’s what we were. Yes, I know Jack was all about the scone, but I’m eccentric enough to believe we connected in a mysterious, elemental way. The possibility alone makes me glad. 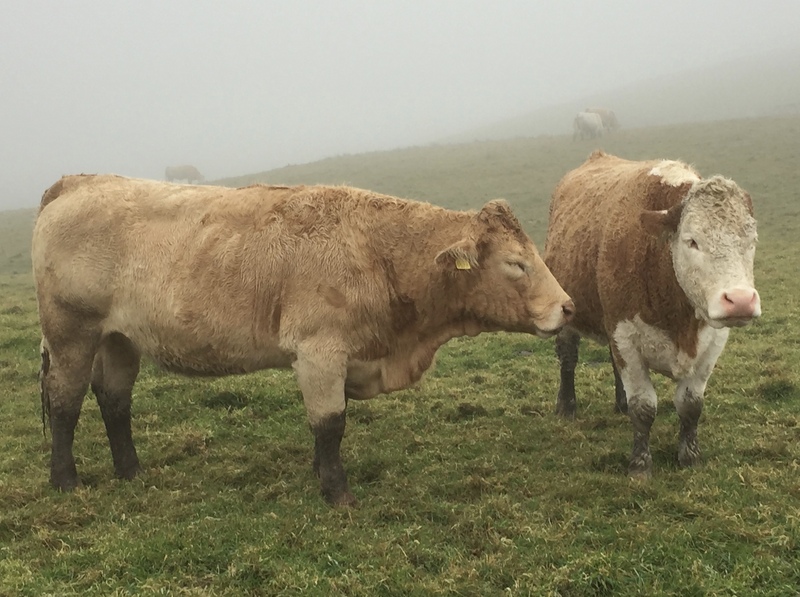 When humans, corvids, cows and sheep of good will trust each other, a silent language is spoken. Its name is Hope. Your little, and large, intellectual and physical excursions give me hope. Hope that there are many more like you who care about the best in human nature. I must admit that culture in the USA at present in large part disappoints me. We are better than what is being portrayed by the media as they report the daily dose of shenanigans. Oh, Ray, I hear you. “Shenanigans” is a kind way of putting it. My trip to Scotland in October included the same multicolor sheep, along with some shaggy highland cows that are now part of my personal “zoo.” Scotland felt like home to me, and the ancient stones inscribed with much-eroded celtic symbols called for study. I stayed 3 days on Iona, near the site of St. Columba’s monastery, and began to understand that it is indeed a “thin place,” a place where heaven is in reach!